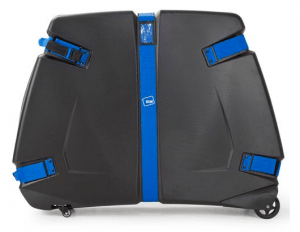 Looking for a bike bag or box for your cycling travels? Packing your bike in a cardboard box provides very little protection and you risk it to getting nicked and dented during transit. To protect your bike, it’s worthwhile to invest in a bike bag, and even more importantly, know how to pack your bike correctly. Bike Bags vs Bike Boxes : Which is Better? Which one is better to transport for your? Bike bag or bike box? Bike Box is the harder version and provide the most protection for your bike and are very durable. They’re made from tough materials like thermoplastics. It’s also sometimes referred to as hard case or hard shell. Bike Bag is the softer version that typically have internal structures to maintain the bag’s shape and protect your bike. The soft outer sides are made made from nylon or canvas which could be vulnerable to tears overtime. Some refer it as soft shell bags. Here’s a side by side comparison between a bike bag and bike box to help you decide better. Scicon is arguably the most popular bike bag brand today. It’s used by 7 out of 18 World Tour pro cycling teams in 2018 which includes the likes of Bora-Hansgrohe, Mitchelton-Scott, Bahrain-Medida, AG2R La Mondiale and Quick-Step Floors. The Aerocomfort 3.0 is the improved version of the very popular 2.0 version. Scicon has made several improvements based on customer feedbacks. The 3 most significant improvements are addition of the thru axles compatibility, new wheels system which was prone to breaking previously and reinforced internal bike mount. It’s still without a doubt the lightest bike bag in the market today. At only 8kg, it’s even lighter than its already lightweight predecessor. With the bike packed inside, you’re definitely way below the 20kg allowance that most airlines impose. The thing I really liked about this bag is the ease of packing and the minimal disassembly required. I’d say most first timers would probably need less than 10 minutes to have their bike securely packed and ready to go. You’re after a bike bag that requires the least amount of disassembly. In most cases, only the wheels need to be removed. More importantly, this is the widely accepted as lightest bike bag in the market today. Evoc is a German brand well-known for their outdoor and travel bags. Their bike travel bag is among their most popular products in their lineup. 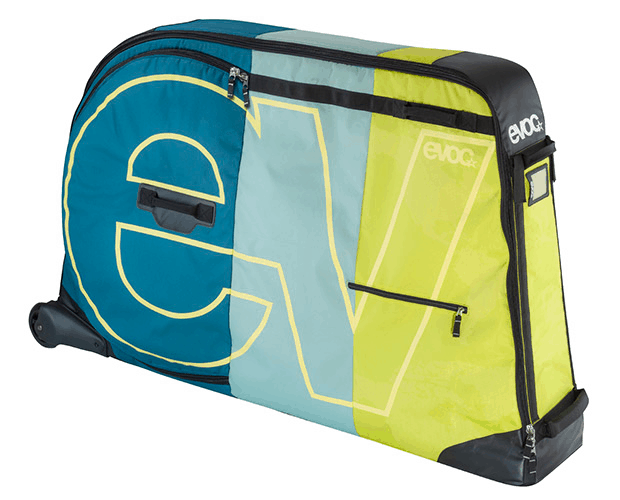 The unique feature about the Evoc Bike Bag is it’s one bag fits all concept. The same bag can fit all types of bikes from road to time trial, cyclocross and mountain bikes. Now you might be asking how is that possible? Evoc uses an interchangeable internal bike stand to mount bikes. Each type of bike would require a different type of stand due to the bike frame’s shape and design. 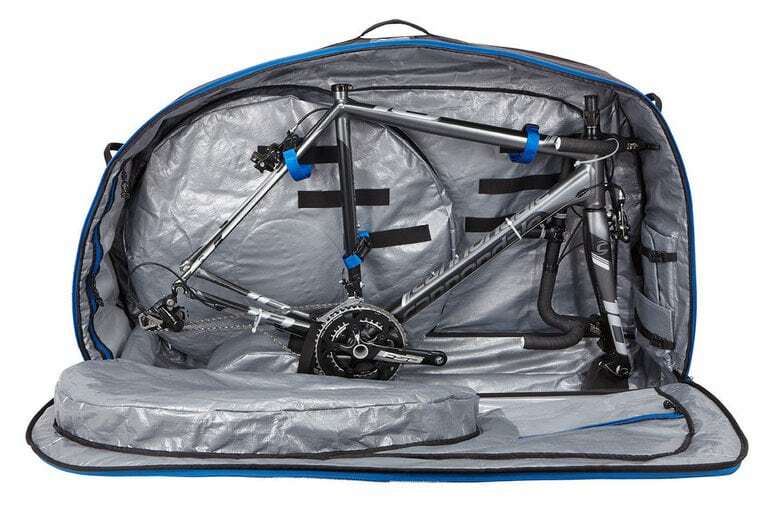 If you’re buying this bag for your road bikes, make sure you remember to get the bike stand! Packing wise, it requires a bit more work by removing the pedals, seat posts and twisting the handlebars sideways in addition to the standard wheels removal. The good thing with such removal is the bag packs down into a compact size which makes the baggage handlers’ work easier. I bet you wouldn’t want an aggressive baggage handler handling your bags, don’t you? You’ve various bikes; road, TT, CX and mountain bike and want a bag that is compatible with all of them. 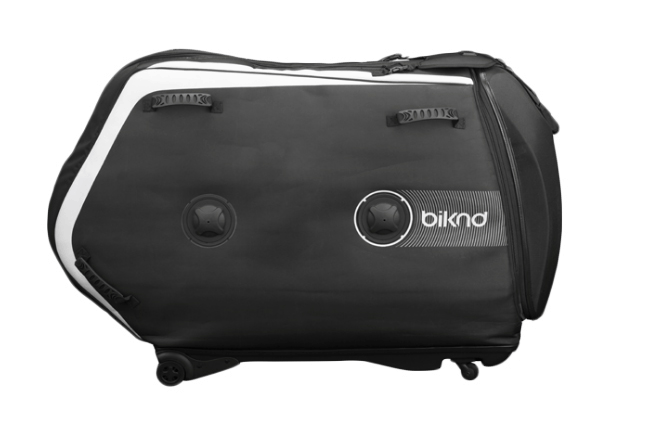 Biknd is a Canadian brand which is all about developing innovative bike bags. In fact, their first product is the Helium bike bag which is now in its 4th version, hence the V4. What makes the Biknd Helium V4 special is the unique way the protection mechanism is implemented. It uses inflatable airbags that strategically placed at both sides of the bag. Packing the bike would require some disassembly work by removing the wheels, pedals, seat posts and twisting the handlebars sideways. To make packing easier, both the side and front panels can be opened completely . Now if you’re traveling with 2 sets of wheels, you’re in luck because the bag can fit all of them. Unlike other bags where you keep one wheel on each side panel, the Biknd Helium V4 can hold 2 wheels at each side. You’re after a lightweight, soft shell bag that provides extra protection to the bike. As a bonus, it can also fit 2 sets of wheels inside. Thule is a Swedish company well known for its travel products. This mid-level bike bag has an internal bike mount which doubles up as a work stand, which will make assembling and disassembling your bike quick and easy. Most road bikes will fit comfortably into this bag unless you’re riding anything above size 60, and it includes an adapter for thru axles. It has a separate wheelset compartments so that your wheelset don’t come into contact with your bike frame. The two rear wheels make it a snap to pull your bag wherever you need to go. You’re after a bike bag that provides value for your money. It’s lightweight and the internal mounting stand can double up as a mobile workstand for you to assemble your bike. B&W is a German brand who has been making innovative outdoor bags since 1998. The Bike Box 2 is the successor to their original Bike Box and has won the prestigious 2018 German Design Award. For a bike box, the B&W Bike Box 2 is among the lightest available. At almost 12kg, you’ll most likely fall under the 20kg weight allowance most airlines allow. However, take note that even though it can fit almost all types of bikes, you’d go above the allowable weight allowance should you fit a mountain bike, which is generally heavier than a road bike. Packing is made easier with the two shells of the bag coming apart into 2 separate left and right. Once you’ve your bike disassembled, there are internal straps that hold it in place and extra protection is achieved via the additional foam layers provided. There’s no dedicated wheels storage compartment. B&W provides 2 separate wheel bags which are also placed inside the bag when you close it. You’re after a bike bag that provides plenty of protection while not being bulky to lug around the airport. BuxomBox is a small, UK-based company that specializes in bike boxes. In fact, bike boxes are their only product available. At first glance, the Ventoux Road screams everything top quality. With that, it also comes with a premium price tag. You’re warned. For starters, the BuxomBox is made entirely from aluminum. It’s the same 6061 aluminum that’s used to make high end aluminum race bikes. Not only do they look really good, but they’re also very durable and impact resistant. There are 3 sizes for you to choose from, depending on your bike size. 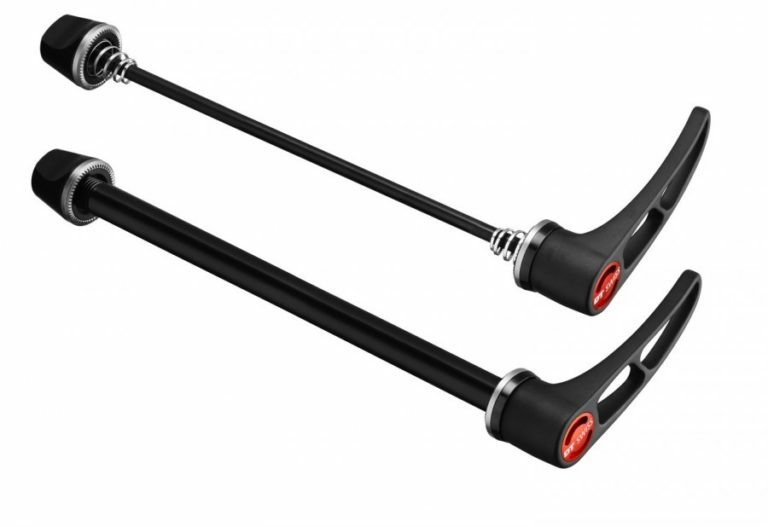 Besides, you can also choose whether to support quick release, through-axle or both. With 4 handles, 2 at the top and 2 at the sides, you can maneuver the bag around the airport with ease. The 2 fixed and 2 caster wheels make things even easier. You’re after a bike box that’s made out of the best materials to provide maximum protection to your bikes. The Scicon Aerotech Evolution has been around for 10 years now and the 3.0 is Scicon’s latest version which was released in late 2017. The major improvement made in this version is adding the thru axles compatibility. 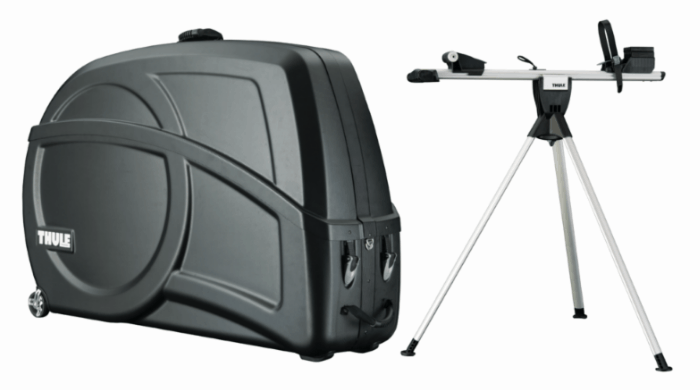 Without a doubt, the Aerotech Evolution is Scicon’s most secure and most expensive bike box. With a premium pricing, Scicon has ensured no corners are cut. The bag has been thoroughly tested to ensure maximum protection for your bike. The hard shell is made of very durable and hardened plastic, or what Scicon likes to call them, thermoplastic. Internally, there are padding everywhere for your bike frame and straps strategically located to hold them in place. It would require some additional work to pack your bike into the bag. Unlike the Aerocomfort 3.0 where only the wheels are removed, you’ll need to remove pedals, seat posts and twist the handlebars in addition to that. Scicon has provided a small bag to store all those components you removed so that you won’t lose them. You probably notice by now that most hard shell cases are bulky and heavy. While it’s still bulky (the shape and size remains), Scicon has managed to bring down the weight by 1kg compared to its predecessor by using newer and more advanced materials. At 11kg, it’s among the lightest bike box available. You’re after a bike bag that screams maximum protection. Made from durable, hardened plastic, this bag will surely survive the most aggressive baggage handlers. The Thule Roundtrip Transition is the hardshell equivalent of the Roundtrip Pro XT. 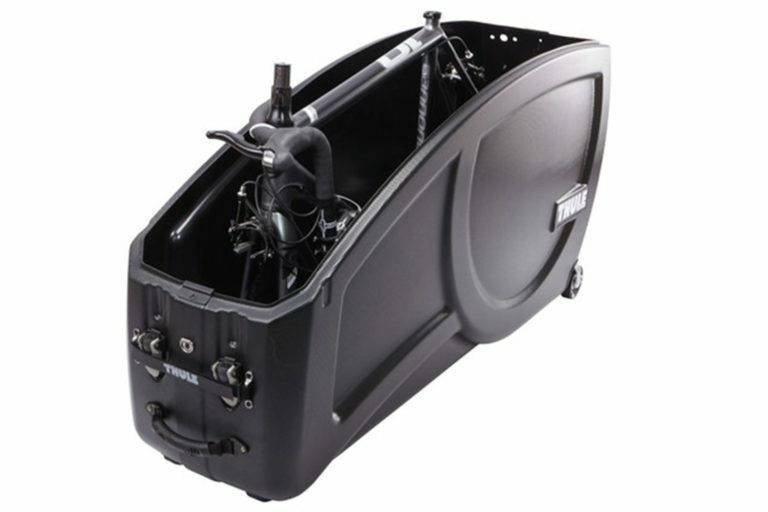 In fact, it’s Thule’s top-level and most secure bike case. It has a sturdy aluminum base and when combined with a strong ABS shell, it provides excellent protection to your bikes. You can pack your road bike, TT, CX or mountain bike with this bag, making it very versatile. As a bonus, thru axle adapters for 15mm and 20mm axles are included besides the standard quick release. The unique thing about this bike box is the internal mounting stand can double up as a mobile workstand, making assembly/disassembly and maintenance easier when you’re traveling. You want a strong and secure bike box that has an internal mounting that can double up as a portable workstand while you’re on the go. This is the most important thing to consider when buying a bike bag or box. The type of bike you’re planning to travel with will determine the shape and dimension of bag and box you’ll need. 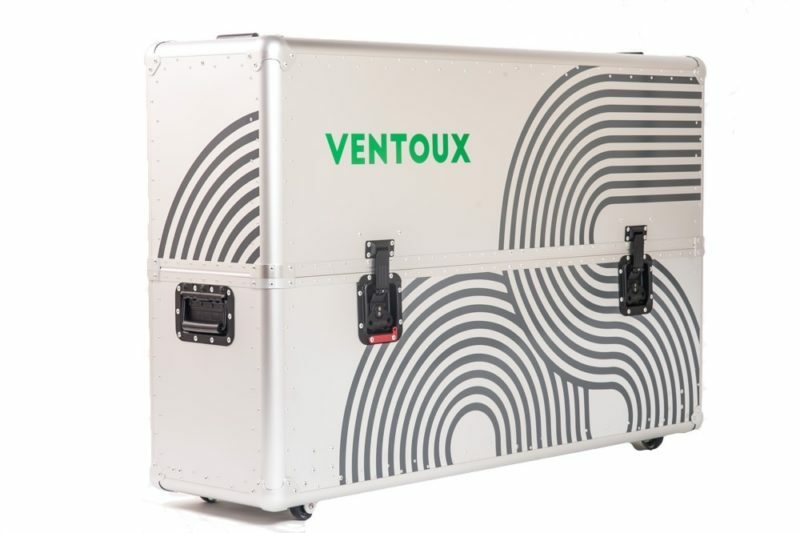 Some newer ones like the Evoc Bike Bag, Buxom Box Ventoux and Thule Roundtrip Transition can fit all types of bikes. While it’s obvious that the bike frame of a road, cyclocross (CX), time trial (TT) and mountain bike looks different, there are more to that. Among other differences are also the handlebars shape, wheel hub width and wheels size and diameter. PRO TIP : Some bike bags and boxes are bike specific, whether it’s for road, TT or mountain bike. Make sure you’re buying the right variant. Today there are 2 types of braking system for road bikes. Traditionally, all road bikes uses caliper brakes but disc brakes are getting popular recently for its better braking capabilities especially in the wet. The mechanism used to attach the wheels to the bike is different between these two. The bike frame has a different design at the dropouts to accommodate either Quick Release or Thru Axles. And so does the bike bag to fit the different dropouts especially if they have an internal mounting stand. PRO TIP : Newer bike bags and boxes are compatible with both quick release (caliper brakes) and thru axles (disc brakes) through an adaptor. You’ll need to do some disassembling in order to pack your bike. The amount of disassembly needed depends on the bike bag or box, but in general this isn’t too hard to accomplish. If in doubt, you can always check out YouTube. All bike bags and boxes are designed to fit bikes without the wheels, so no matter the make or model, you should expect that removal of the wheels will be necessary. Some bike bags like the Scicon Aerocomfort 3.0 require minimal disassembly, while all bike boxes require quite a number of components to be removed prior to packing. PRO TIP : How good you’re with the wrench is an important factor when it comes to choosing a bike bag or box that suits your needs. If you’re planning to fly with your bike, weight can be an important consideration. Most airlines have a check-in baggage weight allowance between 20kg to 30kg. Bike boxes weigh more (anywhere between 12kg to 18kg) due the the hard and solid materials used. On the other hand, bike bags weigh less, between 8kg to 12kg and can be carried more easily when you’re on the move. Depending on your bike’s weight, you’ll probably end up with around 16kg to 25kg baggage check-in weight. 1. Which bike bag can fit my road, TT and mountain bikes? I understand that some of us have a few bikes and the bike we travel with depends on the type of riding we’re going to do. In this situation, I recommend you to consider a bike bag that is one size fits all. Generally, these bike bags don’t have the internal mounts which limits your choice of bikes. Have a look at the Biknd Helium V4 or the B&W International Bike Box 2. 2. How do I provide additional protection to my bike on top of what's provided by the bike bag or box? Buy additional foam paddings and wrap them around the top tube, down tube, seat stays and fork. Use a cable tie to tie the chain to the chain ring to avoid it from falling off. Remove the rear derailleur if it gets in the way. 3. What is the lightest bike bag and box available today? Many cyclists concur that the Scicon Aerocomfort 3.0 is the lightest bike bag today. At only 8kg, you’ll have plenty of weight allowance left to pack your bike. For bike box, you can choose from either the Scicon Aerotech 3.0 or the B&W International Bike Box 2.